Have you sent the necessary texts to your guests regarding your wedding, like invitations, save the dates and RSVP? I know the importance of these messages and they are, of course, necessary. However, the way I am going to tell you to invite your guests is unique, interesting and far more personalized than the traditional ways! It’s Texting Base! Today, technology has blessed us with the ability of sending text messages and group text messages, so that along with sending a proper invitation card, save-the-dates etc, you can also send a group text message to all your guests. But is it really personalized, when you send it simultaneously to several people? You know that it is not! You guests feel special when you send them a personal invitation and Texting Base does just that. Do you think that you will have to send the message to each of your guests separately? No; you will be sending it just like you send a group text message, simultaneously to all your guests only once! Isn’t that great? Texting Base does what text messages and group text messages can do with a very special Personalized touch. Thus each of your guests receives an Individualized message from you, and of course as you can guess, your guests will feel very special and honored because of this type of message. Texting Base is a simple way to send a message to thousands of people and have no two people in the group gets the same message. You can use whatever you know about your guests to personalize your text invitation or save-the-date. 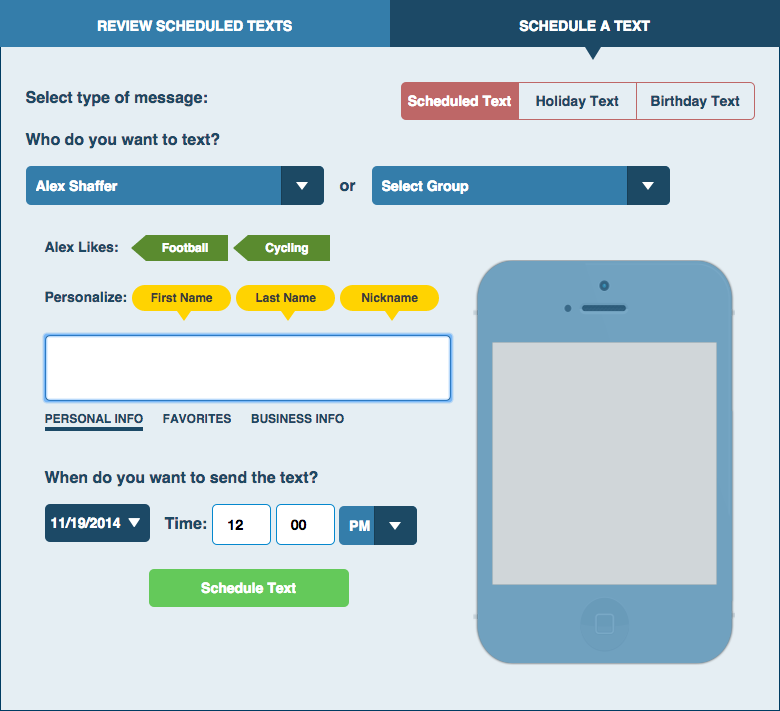 Then insert and use the data to personalize text messages to infinite number of guests. You might be a busy bride! You might have to go for dresser’s appointment or for a meeting with your wedding caterer. Wedding, being once in a life event, needs everything best and you better check everything. In such a situation, time is your most precious asset and Texting Base saves your valuable time. What’s more, you can also save time while booking appointments with your vendors by sending a personalized message to each of them to fix an appointment – all at a time! And you haven’t forgotten your sweetheart! The day of your union is around the corner; so you keep him calling and texting! 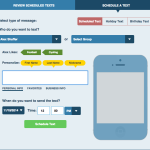 Have more fun in love with scheduling your messages to your sweetheart with Texting Base! Schedule them around yours and his schedule, even while sleeping! Send him a “Good Morning Tea” and “Good Night Kiss” for example. He will certainly be amazed with your love and remembrance, and also thoughtfulness. If you are going to hold a destination wedding, Texting Base is a best tool for you, for sending all your guests information about your venue, all the directions, timings etc only once but still personalized. Texting Base was first launched by its CEO, Eric Beans, at the Florida Aquarium on 29th August, 2015, on his own wedding day! The team also consists of Alex Shaffer, CIO and Carlos Sang, Web Developer. Eric launched Texting Base with a great dedication to make a texting service available to people which is personalized but can send the messages to all at the same time, so, without wasting time to individually sending them to everyone. So, if you find this great (and I am sure you do) and if you are about to get married, sign up for Texting Base and enjoy your pre-wedding days even more with the ease and convenience it brings!